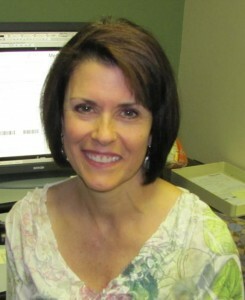 Teresa Brooks, M.D. joined Memphis Radiological P.C. in 1990. A Tennessee native, Dr. Brooks received an undergraduate in Medical Technology from Christian Brothers University. She earned her medical degree at the University of Tennessee and completed her residency in Diagnostic Radiology at Methodist University Hospital of Memphis. Dr. Brooks is board certified by the American Board of Radiology. Her professional memberships include the American College of Radiology, Tennessee Radiological Society, Radiological Society of North America, Memphis Roentgen Society, and Society of Nuclear Medicine. Brooks MT, Magill HL, Hanna SL, Fletcher BD, Burton EM, Boulden TF, Seidel FG. Pediatric case of the day: Idiopathic retroperitoneal fibrosis. Accepted, Radiographics, November 1989. Magill HL, Hanna SL, Brooks MT, Jenkins JJ III, Burton EM, Boulden TF, Seidel FG. Pediatric case of the day: Persistent hyperplastic primary vitreous. Radiographics 10:515-518, 1990. Burton EM, Boulden TF, Magill HL, Seidel FG, Brooks MT, Hanna SL. Pediatric case of the day: Appendicitis with appendiceal rupture and pelvic abscess. Radiographics 10:372-374, 1990. Boulden TF, Tonkin ILD, Burton EM, Seidel FG, Magill HL, Hanna SL, Brooks MT. Pediatric case of the day: Mycotic pseudoaneurysm and thrombosis of modified left Blalock-Taussig shunt. Radiographics 10:119-121, 1990. Hanna SL, Magill HL, Brooks MT, Burton EM, Boulden TF, Seidel FG. Pediatric case of the day: Myositis ossificans circumscripta. Accepted, Radiographics, November 1989. Seidel FG, Magill HL, Burton EM, Boulden TF, Brooks MT, Hanna SL. Pediatric case of the day: Lipoblastoma. Accepted, Radiographics, November 1989.